Hatco Rectangular Heat Max Heated Well RCTHW-1THW-1. Multi purpose heated well. 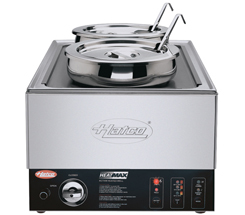 The Hatco RCTHW-1 rectangular heated well is ideal for heating and holding your fresh or previously prepared foods at safe serving temperatures.